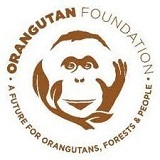 The Orangutan Foundation is a UK charity that works to conserve the threatened orangutan and its habitat in the forests of Borneo and Sumatra. The Foundation’s programs focus on habitat protection and reforestation; orangutan translocation and release; community capacity building and support for local livelihoods; environmental education and awareness; and scientific research. Research for Orangutan Conservation. The Orangutan Foundation annually makes small research grants up to £500 each. The Foundation offers up to four grants annually to students studying orangutan behavior and ecology, or conducting related rainforest field research in Indonesia. Preference is for research focusing on understudied populations. APPLICATION: The Foundation publishes grant guidelines and criteria, application forms, and application deadlines. The Orangutan Foundation publishes links to additional organizations engaged in conserving orangutans, other apes, and rainforest habitat. The Foundation provides contact information.